I decided to celebrate the beautiful weather we’re having this weekend by going on a hike. I haven’t done any hiking since the middle of winter (a complete disaster that I’ll tell you about some time), so I thought I’d keep it simple the first time out. 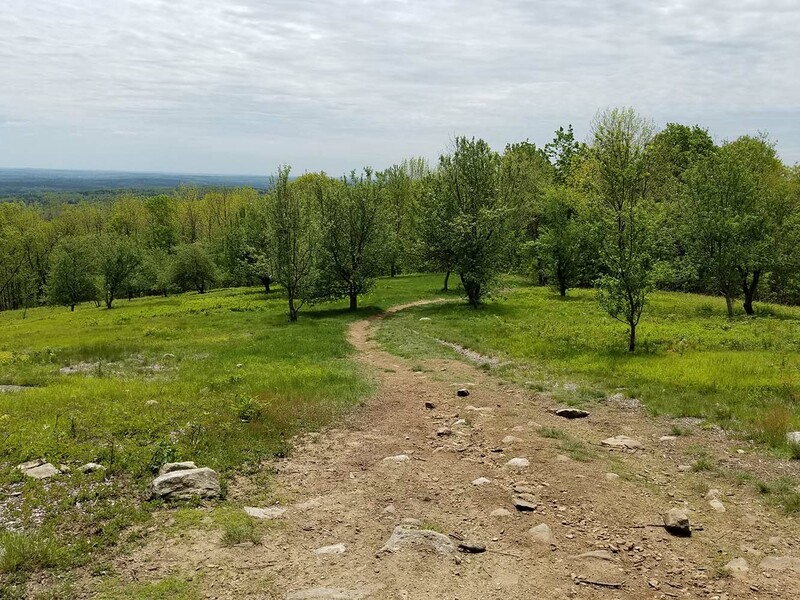 Wachusett Mountain is fairly close to me so I planned to head there but instead of going up the mountain, take one of the perimeter trails instead. I thought this would be a good first start, since I’m not in the best of shape and climbing to the top seemed a bit daunting. I arrived at the Vistors Center, grabbed a map and after a few minutes of weighing my options, decided that Bicentennial Trail looked like a good choice. 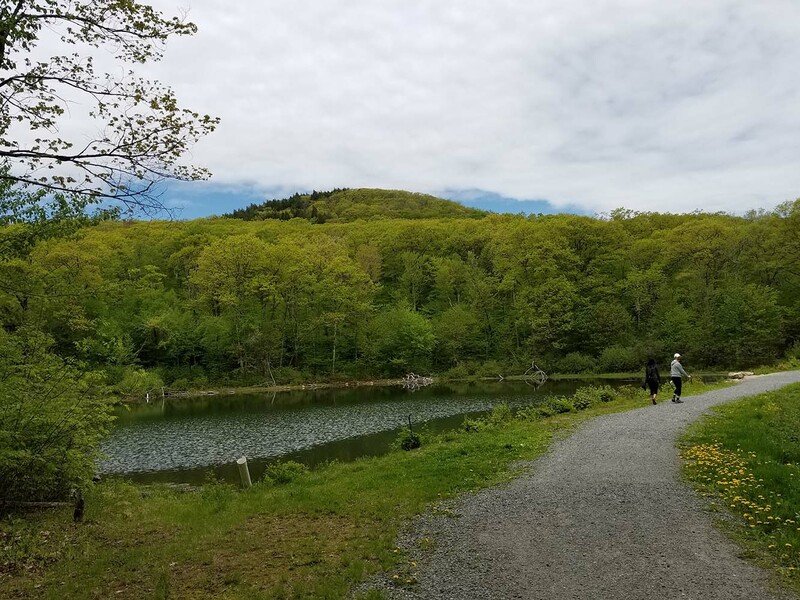 It circled around the base of the mountain and didn’t seem like it would be much of a challenge; I figured I could test out my new hiking boots and backpack without even breaking into a sweat. Bicentennial Trail. A bit more rocky than I was expecting. It started out nicely but within a few minutes I found myself scrambling over rock after rock. 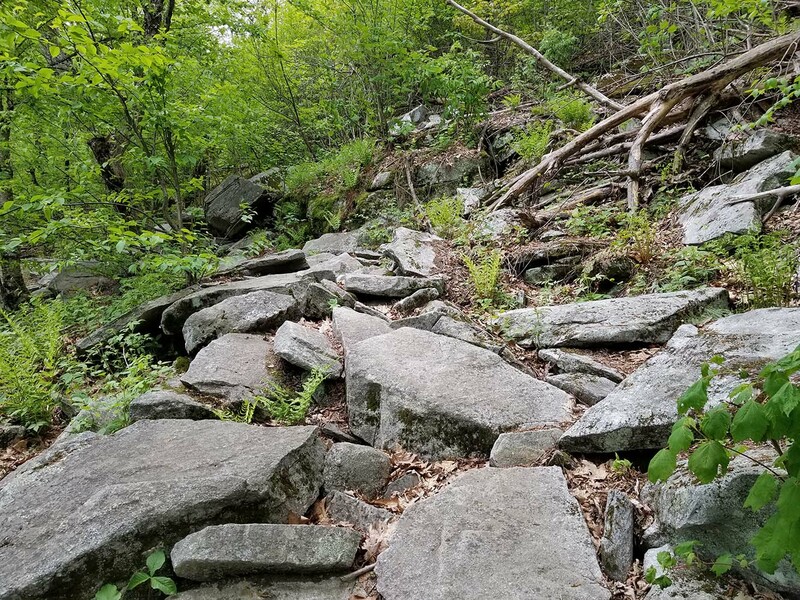 There was a small change of elevation along the way, but the real challenge was to get through it without twisting and ankle or slipping off a rock. Eventually the rocks dissipated and things got somewhat easier. Over time, I made my way to High Meadow Trail and followed this down to Echo Lake, where I followed the Echo Lake trail to the bottom of the mountain. Now I had a choice; I could either go back the way I had just come or try to get back a different way. Looking at the map, most of the available trails headed to the peak of Wachusett Mountain. This didn’t seem like a good idea since I was already a bit tired and would have to climb all the way to the top and then back down again. I decided to play it safe. I went up Administration Road, turned right onto Echo Lake Road and followed it to the bottom of the mountain. From there, I hiked along the highway for about a mile until I got back to the Visitors Center. Echo Lake with Wachusett Mountain in the background. Overall, it wasn’t too bad. The weather was perfect, there were few bugs and the trail wasn’t crowded. Anyone in semi-decent shape could complete the hike with no problems but it just caught me off guard. When I started out, I figured I was going to spend a couple of hours walking, not scrambling up rocks. But I survived and I’m in slightly better shape than when I started. Now, I just have to keep doing this until I lose a few pounds and get to the point where I can go up and down the mountain like it was nothing.